Part autobiography, part fiction, this early work by the author of The Master and Margarita shows a master at the dawn of his craft, and a nation divided by centuries of unequal progress. In 1916 a 25-year-old, newly qualified doctor named Mikhail Bulgakov was posted to the remote Russian countryside. He brought to his position a diploma and a complete lack of field experience. And the challenges he faced didn't end there: he was assigned to cover a vast and sprawling territory that was as yet unvisited by modern conveniences such as the motor car, the telephone, and electric lights. The stories in A Country Doctor's Notebook are based on this two-year window in the life of the great modernist. Bulgakov candidly speaks of his own feelings of inadequacy, and warmly and wittily conjures episodes such as peasants applying medicine to their outer clothing rather than their skin, and finding himself charged with delivering a baby—having only read about the procedure in text books. Not yet marked by the dark fantasy of his later writing, this early work features a realistic and wonderfully engaging narrative voice—the voice, indeed, of twentieth century Russia's greatest writer. 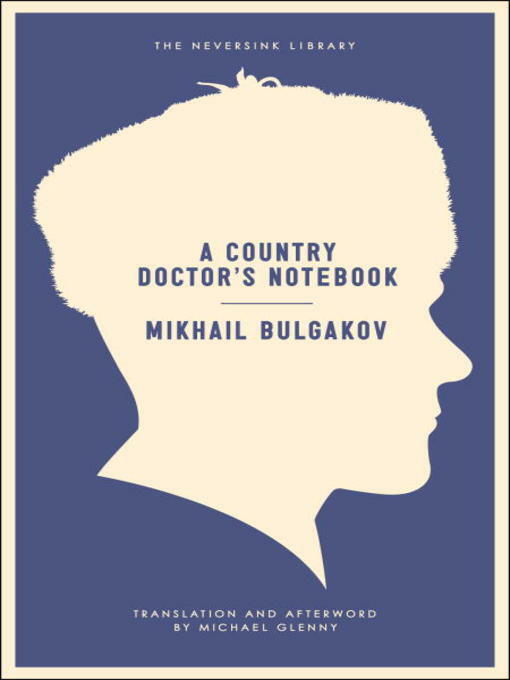 There have been several doctor-writers, Russian and English, in recent times—Chekhov, Somerset Maugham and A. J. Cronin are perhaps three of the best known—and with this collection of stories Mikhail Bulgakov is revealed as another writer who gained his earliest and perhaps his deepest insights into human nature through the practice of medicine. of his brothers, Nikolai Bulgakov, was also a doctor, but whereas Mikhail practised only for a few years, stayed in Russia and died there, Nikolai emigrated to France after the revolution and made a distinguished career in Paris as a cardiologist. By 1916, despite heavy losses from two years of fighting, the Russian army was only capable of absorbing a marginal increase in manpower. This factor, together with the strain placed on civilian medical resources by mobilisation, meant that Bulgakov and many of his fellow graduates of that year were not conscripted as army doctors. Without doing the normal hospital internship on qualifying, they were instead drafted to local government clinics and country hospitals all over Russia. It is perhaps not generally realised that pre-revolutionary Russia possessed a very creditable rural medical service, financed and managed by the provincial government authorities or Zemstvos. These were elective bodies, of which the nearest British equivalents are perhaps the County Councils, and they were responsible for such matters as education, roads and public health. Since there were too few incentives or facilities for general practitioners to function outside the larger towns, the medical care of the peasantry in the outlying countryside was chiefly undertaken by the Zemstvo, through a network of polyclinics or small one-doctor hospitals of about forty beds. The standard of this service varied from province to province according to the relative wealth, zeal and efficiency of the different Zemstvos. Bulgakov served his medical apprenticeship near the village of Nikolskoye in the province or guberniya of Smolensk, one of the northwestern regions of European Russia, and to judge by his description of the facilities and equipment available to him, the medical services of this Zemstvo were among the best. "These straightforward yet extraordinary sketches gain their strength from also being the account of a young man's growth. One begins to see that he became a novelist not because he had material but because he was storing up passion and temperament." The Milwaukee Journal Sentinel "...they don't read outdated, musty or strange today. Instead, they evoke archetypal situations we experience in contemporary medical storytelling." The Independent "Bulgakov casts a wonderfully wry, self-deprecating humour. His compassion for human folly is unfailing ... These stories stand testament both to human resilience and a remarkable literary talent." Sunday Times "Stories as keen and bright as a scalpel ... Courage shines from every angle of this profoundly human collection by the greatest of modern Russian writers."